FYSF 8/26/2016, Win a Flip Mozart Bundle! It's that time again! This week's Feed Your Stash Friday giveaway features a Flip one size cover in the limited edition Mozart print and a 3-pack of stay dry inserts. NEW Coupon Savings are Now Available! We are really excited to offer new coupon savings! 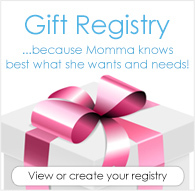 Be certain to check the COUPONS tab at the top of the page before you checkout so you can claim your free item! Remember, there is a limit of one free item per order, but you CAN combine coupons with Stash Cash for added savings! Sail the Seven Seas with Lalabye Baby! Ahoy, matey! Lalabye Baby invites you to sail the Seven Seas with their latest ocean-themed cloth diaper print. This gorgeous print features a medley of blue and green tones and all the ocean life you can imagine. 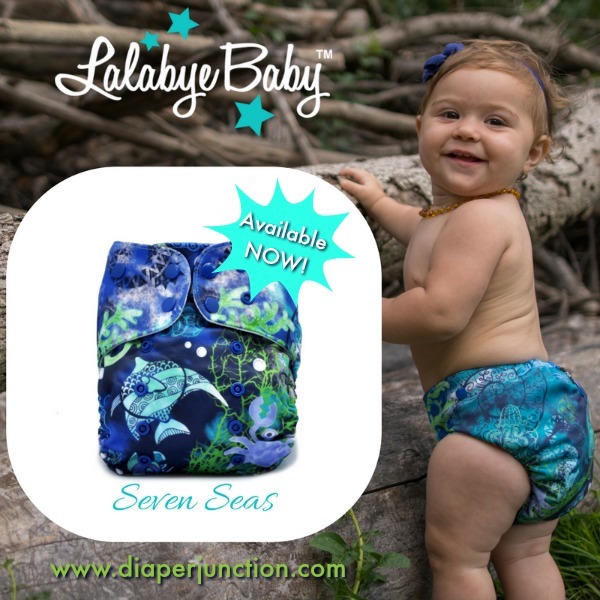 The Seven Seas print is currently available in the Lalabye Baby One Size Cloth Diaper. Smart Bottoms Sprinkles - Available NOW! We are super excited for the latest print from Smart Bottoms! Sprinkles is adorably sweet and in stock now! This summer's grab bag deals have been a hit, so we couldn't resist giving you another one! This grab bag offer features 2 pocket covers for $28. The minimum guaranteed retail value is $40.00--that's a savings of 30%! 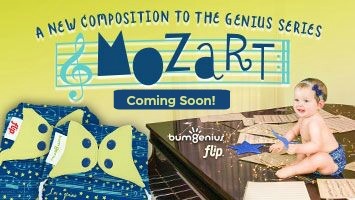 New from bumGenius and Flip--Meet Mozart! We are excited to announce the release of a new limited edition cloth diaper print from bumGenius and Flip. Mozart is a musical-themed print featuring shades of Stellar, Mirror, and Jolly. FYSF 8/19/2016, Win a Sbish + Sweet Pea Bundle! Are you loving our bundle giveaways this summer? Well, we've got another one for you! 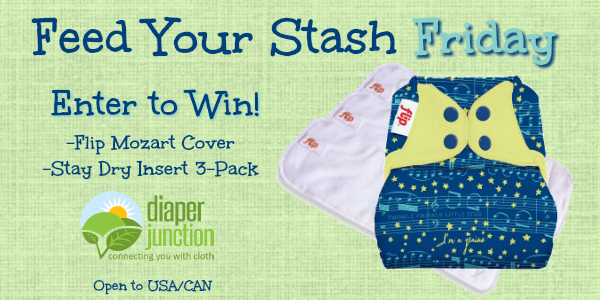 This week's Feed Your Stash Friday giveaway features a Sbish Snapless Multi-Fitted and Sweet Pea One Size Diaper Cover. The best part? The winner gets to choose the color and print! The AppleCheeks diaper you know and love just got better! AppleCheeks has announced a new One Size Envelope Cover! No more guessing which size your baby will need--this cover has all the features you know and love from AppleCheeks, but will fit most babies weighing 6-35+ pounds. 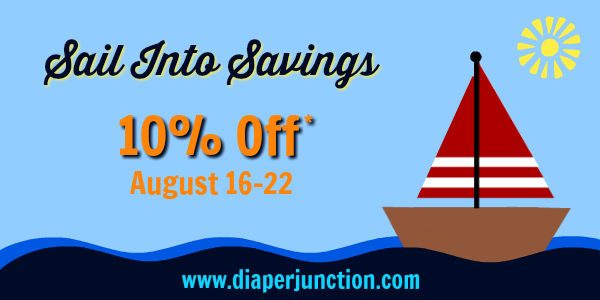 Sail Into Savings with Diaper Junction! We are excited to announce the start of our quarterly cloth diaper sale! Now through August 22, 2016 you can save 10% on select cloth diapers and accessories. Find savings from favorite cloth diaper brands. FYSF 8/12/2016, Win a Buttons Bundle! Are you ready for another giveaway? This week's Feed Your Stash Friday features a Buttons Diapers Bundle, including a Trial Pack and Small Wet Bag. The winner will get to choose their choice of color or print! Are you a bargain shopper? Always looking for a deal? Diaper Junction offers many ways to save EVERY DAY! NEW from Bummis, Meet Tampa! Flamingos, toucans, and pineapple--oh, my! The new Tampa print from Bummis is everything a summer print should be. Featuring tropical birds and fruit paired with bright color, this print is a must-have for babies from South Beach, to Rio, and everywhere in between! FYSF 8/5/2016, Win a bumGenius Bundle! It's that time again! 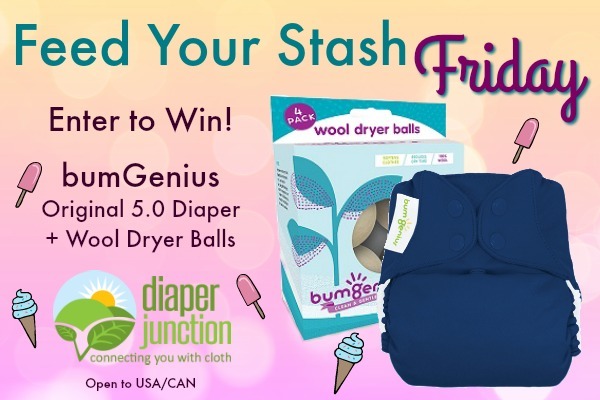 This week we are giving away a bumGenius bundle featuring the Original 5.0 Pocket Diaper and a 4-pack of Wool Dryer Balls. bumGenius is known as a pioneer in the modern cloth diaper world, and their products are renowned by families world-wide. Can you believe it? The Back to School season is already upon us! We are excited to offer Rumparooz diapers and accessories at a 20% discount this weekend only! You can shop any time now through August 8, 2016 to receive this discount. Simply enter coupon code "RARBTS" at checkout to receive the special sale pricing. There have been so many amazing releases this summer, but these are the most unique prints so far. 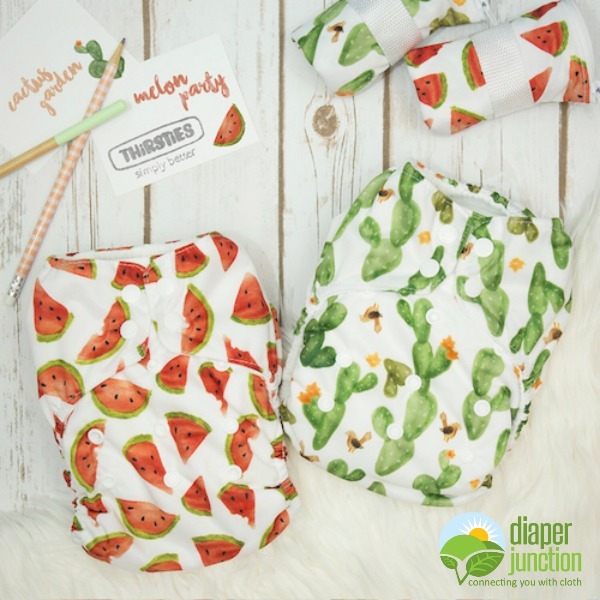 Introducing Melon Party and Cactus Garden, the newest prints from Thirsties. These watercolor-style prints are modern and bright, with a colorful pop.